Business Insider recently listed 13 celebrities who support cryptocurrencies and may hold some coins themselves. Cryptocurrency is designed to be the future of money, and it appears many celebrities strongly back this notion or revolutionary technology behind it. Business Insider recently listed 13 celebrities who have shown support cryptocurrencies publicly and may be holders of digital currencies themselves. The list contains celebs from a range of different backgrounds including sports stars, actors, business people and musicians. #1 Snoop Dogg: When hardly anyone else saw the potential of Bitcoin, Snoop Dogg was selling his album for 0.3 BTC online in 2013. It is unknown how many of these albums he sold, but by today’s BTC valuation, he could have earned more than $1,000 per sale. The hip hop guru also appeared at the XRP Community Night crypto party. #2 Pitbull: He aimed to launch a new cryptocurrency called Smackathon along with eMerge Americas, which was designed for sending payments in the music industry. Pitbull publicly announced this in April 2018 as reported by CNBC. #3 Mel B: The former Spice Girl partnered with CloudHashing in 2014, a company offering Bitcoin-mining contracts, and started accepting BTC as payment for her Christmas Single in 2014. #4 Madonna: The Queen of Pop teamed up with Ripple and Facebook to raise money for her Raising Malawi Foundation. The online fundraising event included Ripple matching every dollar donated to the campaign. 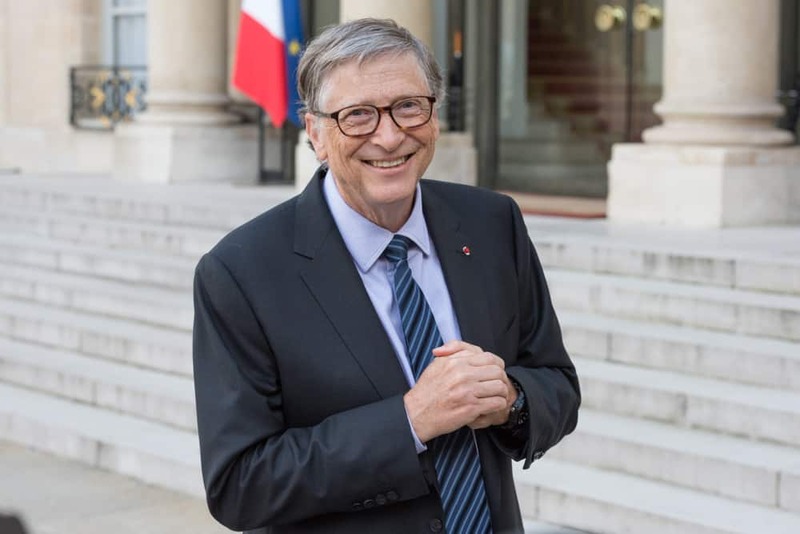 #5 Bill Gates: The Microsoft founder who is known for his philanthropic efforts is a well-known BTC invested public figures. Though at one point he did say he would short Bitcoin if he could, he has also previously spoken about its usefulness in processing payments and that Bitcoin’s low costs make it exciting. #6 Paris Hilton: The hotel heiress and media personality publicly announced in September 2017 that she is looking forward to the ICO of LydianCoin. #7 Mike Tyson: The celebrated boxer has produced Bitcoin ATMs and Wallets (with Bitcoin Direct) that used branding which replicates his face tattoo. He is a well-known Bitcoin investor. #8 Lionel Messi: One of the most celebrated footballers of this generation, Messi became the face of the first crypto smartphone in the world, produced by Israeli firm Sirin Labs. Mayweather has promoted several ICOs including Hubii Network, Stox, and the controversial Centra. His involvement in the ICO scene also led to the SEC filing charges against him. #10 Gwyneth Paltrow: Gwyneth Paltrow is involved in several business ventures, and crypto is one of her interests. The MCU actress became the face of Abra, a Bitcoin wallet and has served as an advisor to the project since 2017. In November 2018, she also shared an article on Twitter, talking about the fundamentals of crypto and Bitcoin and how to invest in digital assets. #11 Ashton Kutcher: Actor-turned-investor Ashton Kutcher isn’t shy about his crypto investments. He and his Shark Tank colleague Mark Cuban have invested together in UnikoinGold- a currency for online gaming in popular games like Counter-Strike: Global Offensive, Dota 2 and League of Legends. He also invested in BitPay. #12 Hugh Laurie: More popularly known as Dr. House, Laurie invested in Bitcoin in 2015. Not much is known about his current holdings. #13 Johnny Depp: Depp’s extravagant lifestyle has raised many eyebrows over the years, but he has shown interest in cryptos as well. He became a partner at TaTaTu, a blockchain startup last year. The full original version of Business Insider’s article can be found here.